Every three months, Apple reports on what just happened, and gives guidance for what's coming next. It’s that time again–time to tie that tie and tighten your money belt. Next week, Apple will once again reveal its quarterly earnings report, leading to a lot of Kremlinology, the parsing of numbers, and a bumping up or down of the Apple stock price. The results will arrive on January 31 at about 1:30 p.m. Pacific, followed at 2 p.m. by the usual phone call between Apple execs (generally CEO Tim Cook and CFO Luca Maestri) and a collection of analysts. But just because the numbers won’t drop until next week doesn’t mean we have no idea what’s coming. Apple, like most public companies, tries to keep surprises to a minimum at these events. So it provides “guidance” about what the future holds, a quarter before it reports those results. A good example of this would be what happened a year ago, when Apple reported record results and everyone freaked out. The reason: Not only did the numbers suggest that iPhone growth had stalled, but Apple admitted that iPhone sales would be down year-over-year the following quarter. Three months ago, Apple projected that its first fiscal quarter of 2017–encompassing the last three months of calendar-year 2016–would see a return to year-over-year growth, with revenue of $76 to $78 billion. The holiday quarter is always Apple’s biggest of the year, and even the low end of Apple’s guidance would set a record for the single biggest quarter in Apple history. So if Apple reports a record quarter next week, don’t be too surprised–they said they would three months ago, and expectations of this quarter have already been built into Apple’s stock price. Who’s buying what iPhone? Since Apple doesn’t break out sales of different iPhone models in its balance sheets, we’re left with analyst estimates and any drops of information Apple’s allows to dribble out on financial-reporting day. We may get a better idea of how the iPhone 7 Plus is selling versus the iPhone 7, how the older 6s models factor in, and what’s going on with the iPhone SE (which at last check was selling far better than Apple expected). Apple doesn’t break out Apple Watch sales explicitly, but we can get an inkling. How’s the Apple Watch doing? Speaking of products Apple doesn’t break out in balance sheets, the Apple Watch is currently hidden in Apple’s Other Products category. And while clever analysts can extrapolate from that line about how the Watch must be doing, there’s no way to know for sure. Cook has gotten pretty good at teasing all of us about Watch sales, giving superlatives and relative statements (“best quarter ever”) without any raw numbers. That will probably continue, but we’ll all be looking for any tidbits Apple decides to provide while characterizing the trajectory of the Apple Watch. Any movement on the iPad? Fans of the iPad–and I count myself as one–look every quarter for some hint that the product’s sales are back on the rise. It’s been three years since the iPad has shown a quarter of year-over-year unit sales growth–so can Apple top the 16.1 million iPads sold during the first fiscal quarter of 2016? I think it’s definitely possible, and I’m sure Tim Cook would be the first person to call out such a number as a great sign of the iPad turning the corner. Let’s see if the iPad can turn some frowns upside-down. How’d the MacBook Pro do? 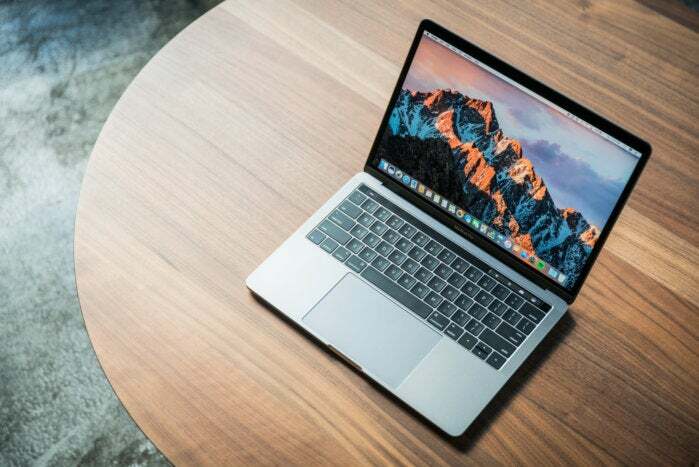 Apple will almost certainly boast about how much customers are loving the new MacBook Pro. It’s all about the details: Did the MacBook Pro boost overall Mac sales, which have been down year-over-year for the past four quarters? Did it boost the average selling price of a Mac during the quarter? Were there inventory issues that Apple thinks led to delayed sales? It’ll be interesting to hear the whole story. Where does the Mac go from here? A lot of us have been waiting for clear word about the fate of the desktop Mac, given that not a single model was updated in 2016. New iMacs are almost certainly on the horizon, but what’s the fate of the Mac Pro? What about the Mac mini? Back in December Cook gave Apple employees a bit of a desktop Mac pep talk, but it was easy for people to interpret Cook’s words as a death sentence for the Mac Pro. This phone call allows Apple and Cook to make a more public statement about where the Mac is going with a vague statement calibrated to reassure listeners without giving too much away. Given that Cook had the opportunity to do so in December, and his words didn’t seem to reassure anyone, this is probably unlikely to change next Tuesday. But you never know. What’s the guidance for the second quarter? Last year’s series of year-over-year declines made for a brutal series of Apple financial reports, because 2016 simply couldn’t measure up to Apple’s banner year of 2015. The good news: the bar is a lot lower this year. Thanks, 2016! As I mentioned at the very beginning of this article, Apple won’t keep us in the dark about what it’s expecting: it will provide guidance. As we get our last look at Apple’s calendar-year 2016, we’ll also be getting our first hints of what Apple’s 2017 will bring.